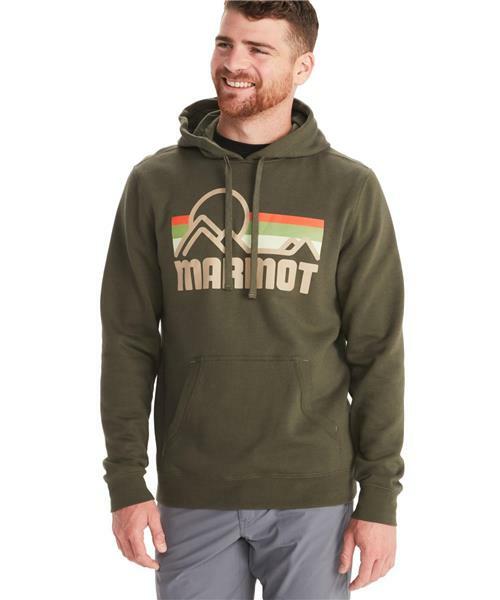 When the sun drops on your next outdoor trip, warm up and relax with the midweight Men's Coastal Pullover Hoody. The fleece fabric is garment washed to feel extra soft. Adjustable drawcords at the hood and kangaroo pockets provide extra protection against chilly evenings. The screen printed graphic adds a casual, laid-back vibe.